Although The Washington Post shared a Pulitzer Prize with The Guardian for its reporting on the NSA leaks provided by Edward Snowden, yesterday its editorial board became the first paper to call for the prosecution of its own source. Last night’s joint editorial from The Post’s editorial board comes at a moment when activists are in the midst of a concerted campaign to lobby President Obama to pardon Snowden. It makes sense that The Post would take this moment to give an official opinion about whether Snowden is a criminal. What’s baffling is that they seem to imply that no public interest was served by any of the leaks except for one—one they aren’t responsible for revealing. 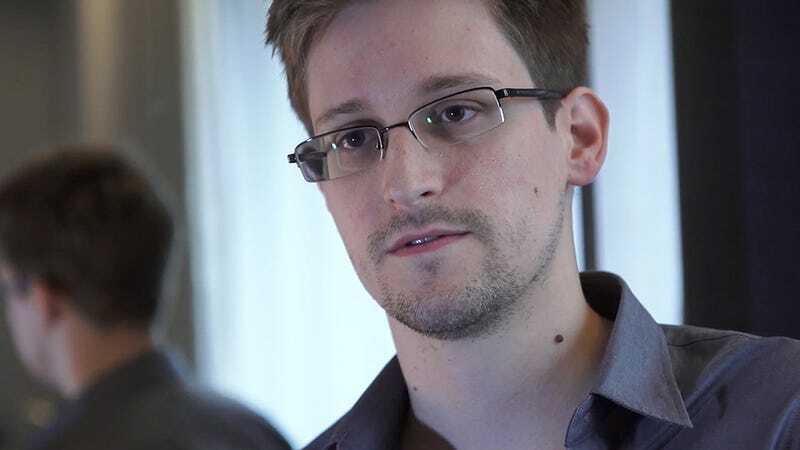 Outlets like The Guardian, The New York Times and The Intercept have all weighed in and said that Snowden is a whistleblower who did a service for the public. But The Washington Post’s position is that only the leaks that related to the NSA’s collection of cellphone metadata were justified. The program was a stretch, if not an outright violation, of federal surveillance law, and posed risks to privacy. Congress and the president eventually responded with corrective legislation. It’s fair to say we owe these necessary reforms to Mr. Snowden. Those specific revelations were revealed by The Guardian, the publication that shared the Pulitzer with The Post in 2014. The rest of the editorial outlines the ways in which Snowden’s actions were not justifiable and points to stories that were made public by the very paper that these critical words were printed in. If the legality was so clear and the lack of threat to privacy was also readily apparent, why did The Washington Post publish its report? And then why did it seek the Pulitzer Prize? And why is this editorial so lacking in self-criticism? It probably won’t surprise you that Glenn Greenwald, one of the journalists responsible for publishing the Snowden leaks, has a detailed takedown of The Post’s odd position and reasoning. It’s well worth a read. A question remains: Why did staff members of The Washington Post print the leaks that they don’t believe the public needed to know about?